REDLINED IMAGERY- MOTORSPORT PHOTOGRAPHY - MOTORCYCLE - AUTOMOTIVE - KENTUCKY: Welcome! Well the day is finally here, I've got the blogger set up and now I am in the development process of the website so I can get it all thrown together. As many of you know I am beginning a photography career on the side, taking pictures from motorcycles (primary subject), automotive, and numerous landscapes and the occasional wedding to supplement the income. 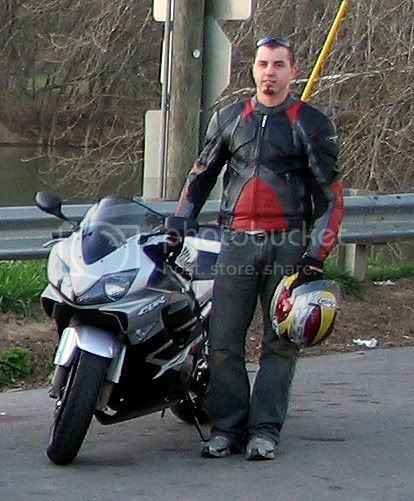 Anyways, here's a pic with one of my old sportbikes, just using this as a test for the blog.